McLeod Dillon is sponsoring its 31st Annual Teenage Volunteer Program for Summer 2019. Volunteer youth will have the opportunity to work with healthcare professionals in many areas of the hospital. “As young people are thinking about their life career choices, what better way to learn about the opportunities in healthcare than to see doctors, nurses, technologists and therapists in action. Teenage Volunteers will have the opportunity to learn and feel appreciated for their efforts,” said Candice Tyler, Teenage Volunteer Coordinator. Teenage Volunteers must be 15 to 18 years old with at least a B average in school, have their parent’s consent and encouragement, purchase a uniform, and volunteer at least 40 hours during the summer. The volunteer must also attend a mandatory orientation program at the hospital on June 10, and have a health assessment (which is required for all hospital employees and volunteers) performed at the hospital at no cost. This health assessment must be completed before the orientation program. A current immunization record is also required. Teenagers that are interested in participating should pick up an application at the Information Desk located in the hospital’s front lobby between April 22 and April 26. Applications must be completed and returned no later than Friday, May 10 at 4:00 p.m. No applications will be accepted after May 10. 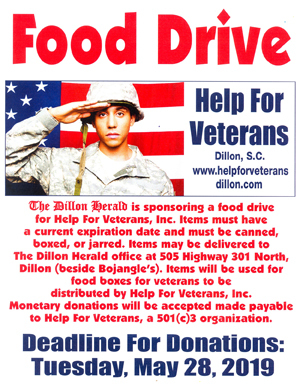 For more information, please contact Candice Tyler at (843) 487-1293. The number of volunteers will be limited; only 20 will be selected this year. Volunteers will be selected based on academic merit, a letter of recommendation and essay. Former volunteers are not guaranteed acceptance.